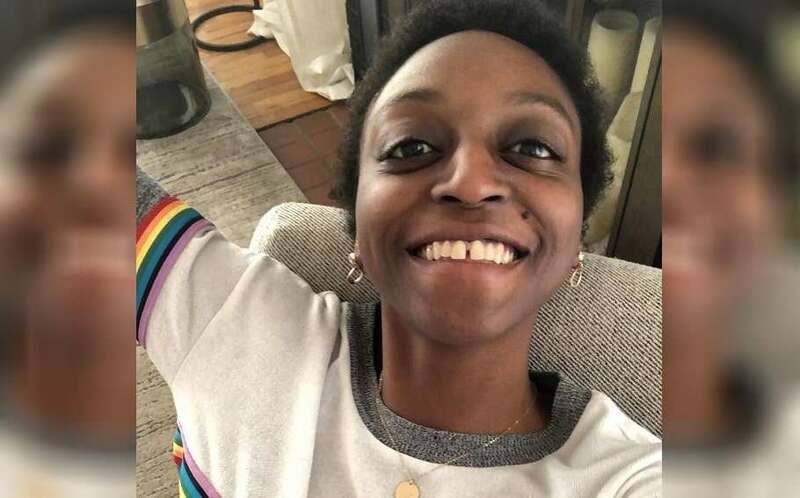 One of the highlights of the new series of Queer Eye – released on Netflix last Friday – is the story of the show’s first lesbian hero, the 23-year-old Jess Guilbeaux. In her episode of the show, titled “Black Girl Magic”, Jess (pictured) tells the Fab Five she came out to her religious, adoptive family at 16 years old, but was shunned by them as a result. She’s had to take care of herself since then, she explained, while also struggling with coming to terms with her identity as a black lesbian woman. “I had pretty much given up on kind, genuine people,” Jess tell them. We won’t give away the ending, but Jess’ story has left Queer Eye fans very emotional. #QueerEye you get me in my feelings with each episode, but I have never related more to an episode than the Jess “Black Girl Magic” episode. First off, Jess – you are a strong, beautiful, independent, black lesbian woman. I admire you, you literally have no idea. the episode with Jess on #QueerEye is making me SOB. It is one thing to be queer, and one thing to be black, and one thing to be a woman, but when you are all three at the same time – this is a completely different experience. Thank you for sharing her story. Jess you are SEEN. Watching ‘Black Girl Magic’ episode of Queer Eye S3. Jess is young Black “lumberjack lesbian”. Listening t her talk about having her blackness policed cos she liked Indie Rock. Our approach t everything is thru Black womanhood so how can it not be ‘Black’. Jess wrote on Instagram that her Queer Eye experience had been “life changing”. “I learned how to love my natural curls, love my highly melanated skin, and all of what makes up who I am (a fierce gay kween™️),” she wrote. A fan of the show also started a GoFundMe crowdfunding campaign, which Jess now has control over, to raise money for her education. In less than 24 hours the Gofundme page has raised close to $8,000. “[Jess] started taking classes at the University of Kansas as a Computer Science major but had to drop out due to debt,” the page reads.